Christian Munthe: Blowing the Wind: 11 Etudes for the Archtop Acoustic Guitar (xfxs-1). Thick paper cover + artwork and information insert in a plastic sleeve. Limited edition of 200 copies. 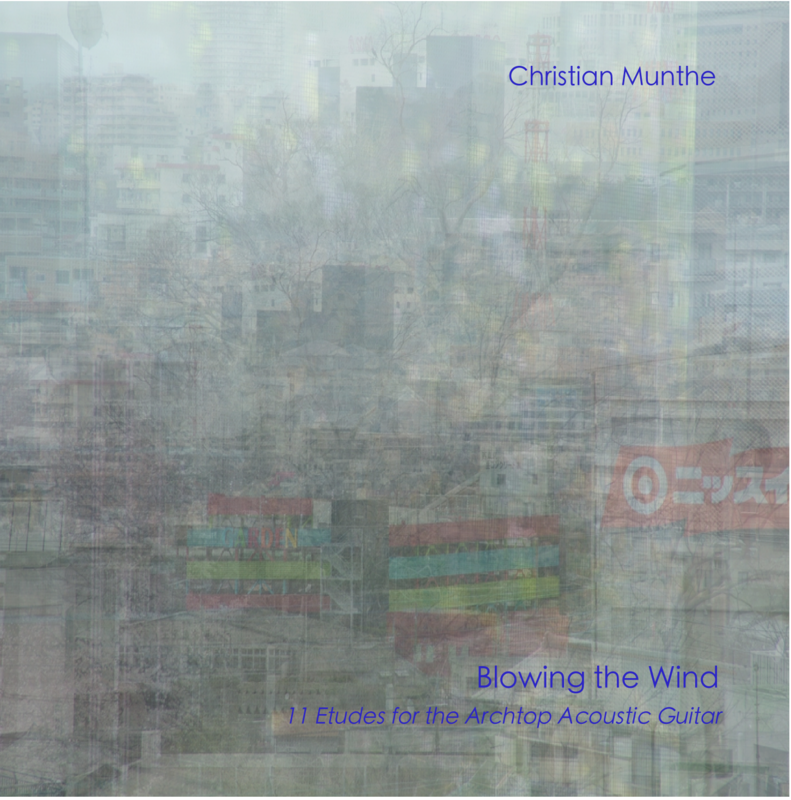 Blowing the Wind is the second in a series of solo projects where free improvising guitarist Christian Munthe focus exclusively on techniques that have been present in his playing for many years, albeit never before utilised as unique approaches. On The Backside Suite (Tyyfus, 2008), concentration was on playing the backside of the guitar while it is lying upside down. In the present project, the guitar is approached as a wind instrument: sounds are made only through applying breath onto the surface and into available openings of an archtop acoustic guitar. The Blowing the Wind project also includes Blowing the Wind: The Video Edition, created together with Japanese image- and video-artist Bon Tan Sui, who also provided the artwork for this release. It consists of 11 high quality AVI video files, to be made available for free download through the kind assistance of the Compost and Height Netlabel.